INTRODUCTION: I have set forth below in its entirety the just released Manifesto of Faith by Cardinal Gerhard Muller who was the Vatican’s Prefect for the Congregation of the Doctrine of the Faith from 2012-2017. Under each numbered portion of the Manifesto below I have provided a very short commentary in italics. Commentary: The moral teachings of the Church cannot be watered down to accommodate the times because these teachings are intrinsically linked to the “saving truths of the faith.” Moreover, Jesus Christ is the one mediator between man and God, and the Catholic Church is the visible sign of this reality. “The priest continues the work of redemption on earth” (CCC 1589). The ordination of the priest “gives him a sacred power” (CCC 1592), which is irreplaceable, because through it Jesus becomes sacramentally present in His saving action. Therefore, priests voluntarily opt for celibacy as “a sign of new life” (CCC 1579). It is about the self-giving in the service of Christ and His coming kingdom. 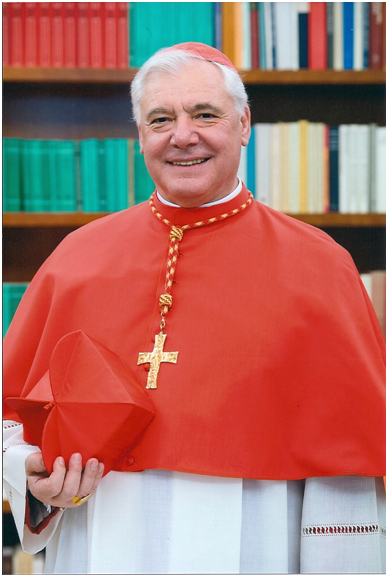 Commentary: The Cardinal is essentially saying that the permission granted in Amoris Laetitia for divorced and civilly remarried Catholics (who thus have not had their first marriage annulled) to receive Holy Communion after the consideration of mitigating circumstances is in error, and further that non-Catholics are not disposed to receive the Holy Eucharist.